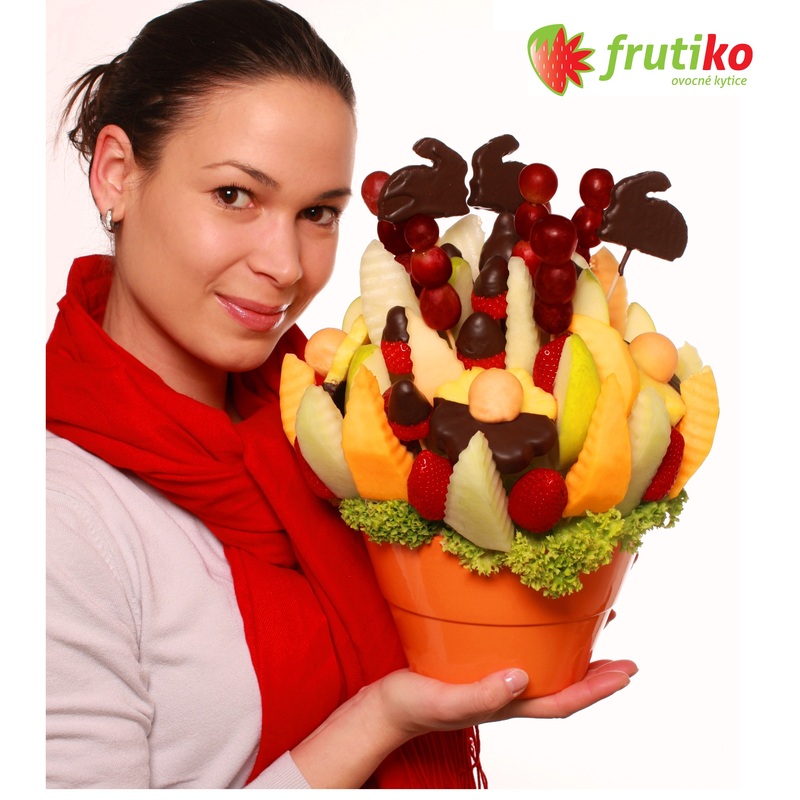 Easter Carol is a delicious bouquet of fresh fruit and chocolate, which is great as an Easter decoration on Easter table. 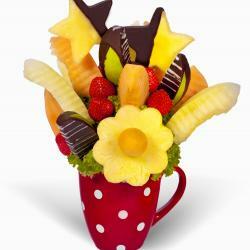 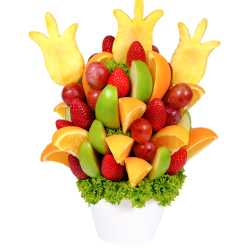 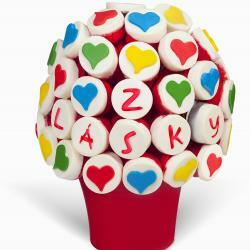 This big fruit flower will make happy all your visitors on Easter. 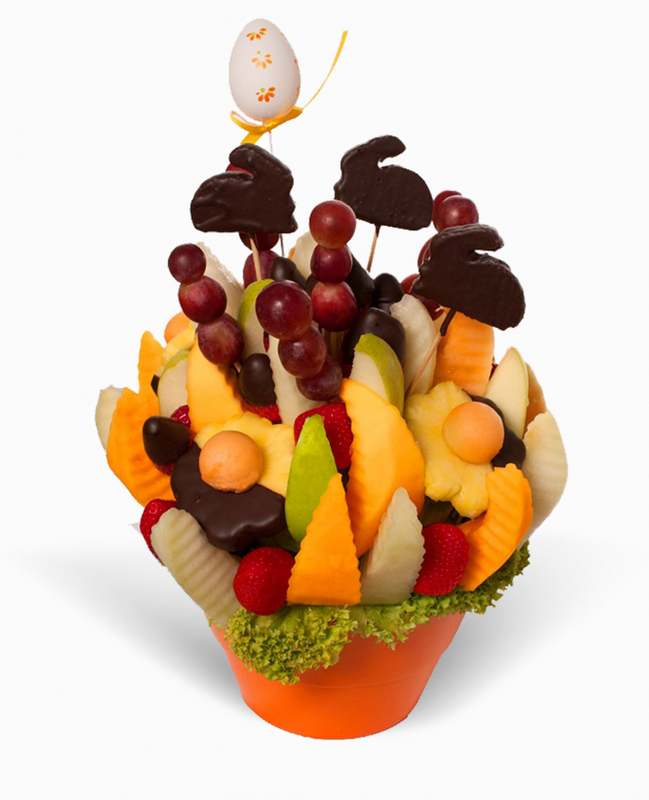 Decorate your Easter table with this stylish Easter decoration of fruit and chocolate.Easter Carol is filled with 3 pineapple bunnies dipped in delicious chocolate, pineapple daises and fresh strawberries, cantaloupe,apples, honeydew and grapes. 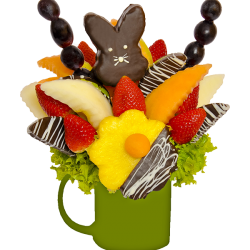 If you want to give something small for your colleague or your friend you can check Easter Bunny flower, which is inside small sweet mug which you can use later on and keep Easter sprit at your home.